For all intents and purposes, the modern supercar came around in the late 1960s, with cars like the Lamborghini Miura leading the way. While one can debate endlessly about what actually constitutes a supercar, it’s hard to argue against Italy being central to their prominent rise. Case in point, every car you're about to see made its debut in the 1970s, and every one is Italian (even the Lotus and BMW). There are essentially two different Khamsins. The first is a gorgeous car designed, like several others on this list, by Bertone. It’s really for well-heeled drivers who weren’t quite ready to commit to a mid-engined car like the Bora, and some of the design aspects, like the rear tail lights suspended in glass, are simply brilliant. 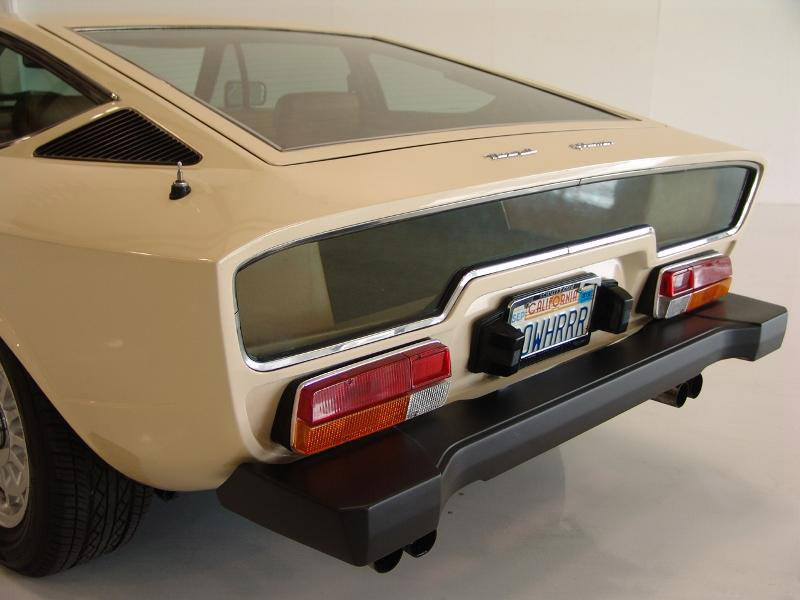 The second Khamsin, however, is the one that made it to the US after being butchered in the name of NHTSA regulations. The Urraco doesn’t have the same timeless beauty of the Miura or the raw panache of the Countach, but as a toned down Lambo, it was never meant to. In a sense, this is the current Huracan’s great grandfather, as it was followed by the Jalpa and the Gallardo, respectively, as Lamborghini’s more demure offering. As important as the BBs were, the 308 is where the modern Ferrari aesthetic really took root, and its legacy is still felt today. The car from Magnum, PI was the Ferrari to own, and it later spawned the legendary 288 GTO, which in turn gave birth to the F40. Not a bad legacy, that. With a 320 hp V8 perched behind the driver, the 171 mph-capable Bora is the essence of what Maserati stands for (in heart and history alike). It actually shared some crucial drivetrain elements with the incomparable Ford GT40, and was such a good car for its day that Maserati made a butchered, six cylinder, four seater version of it called the Merak. That one’s...not on this list. With a grand Italian design and the Australian Ford 351 Cleveland (that’s the really racy version), the Pantera’s a blue-collar supercar that resonates with just about everyone. Prior to the Esprit, Lotus had a long and proud tradition of building some of the best race cars in the world, and it had built some pretty noteworthy street cars as well. But the Esprit is its first proper grand tourer, capable of both great performance and crossing Europe in as much style as, say, an Aston Martin...which Roger Moore can attest to. The Berlinetta Boxers represent one of the very few times Enzo Ferrari ever publicly changed his mind on something. Long holding the opinion that mid-engined cars were too demanding for anyone shy of a professional racer, Enzo finally saw the light, and the 365 BB GT4 was the first mid-engined street car to leave Maranello’s gates. By the time the BB 512 (shown) came around, Ferrari’s mid-engined future was set in stone. The recently defunct Bertone design house created this car specifically for Lancia without so much as telling carmaker. When the prototype was ready, Bertone himself drove the car right under the gates to the Lancia factory. He got the contract to build it as a rally car, and the Ferrari-powered Lancia Stratos was so utterly dominant, it won a hat trick of World Rally Championships in its first three seasons. The M1 was designed by the legendary Guigiaro to be the perfect showcase for the BMW-Lamborghini racing partnership. When that fell through it became the very first M car, and the only car of a new racing series populated mostly by Formula One veterans. It was, and still is, the godfather of all BMW M cars. By now you know the legend of the name. Any car that is a) designed as the direct replacement to the original supercar and b) so wild that it’s official name is a swear word is a surefire winner. Toss in a V12 and a legacy that’s unfaded nearly 40 years later, and you’ve got the best of the bunch. Aaron Miller is the Rides editor for Supercompressor, and can be found on Twitter. Writing this piece made him realize just how badly he needs to win the lottery so he can give these cars a good home.